A speedy project for the Zippy loom. 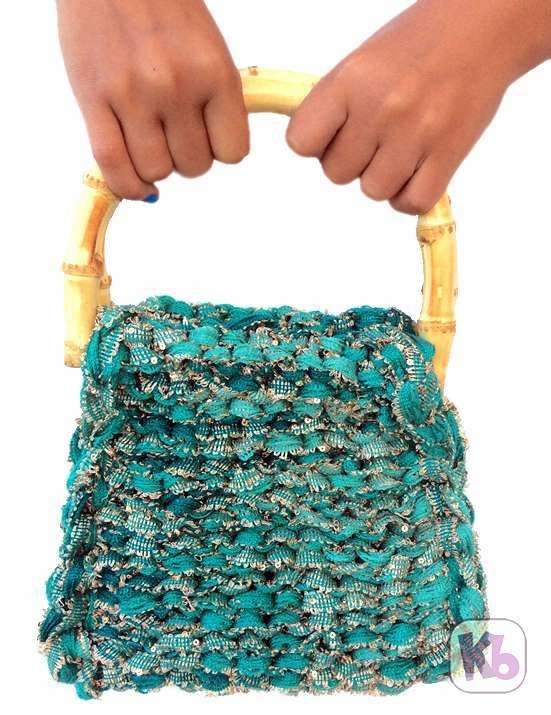 The Zippy Handbag can be worked in less than 2 hours! Grab a set of handles and your favorite chunky ribbon yarn and you are ready to zippy-zoom! Knitting loom: Zippy Loom (3 zippy looms). Other: Set of handles, 7 inches in length. Prepare knitting loom: Connect 3 zippy looms together. Cast on from left to right. 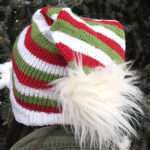 Sample was worked with the Knit Stitch (not the ewrap). Leave a yarn tail, approximately 20 inches in length. Starting on the second peg (peg 11), cast on 10. Pegs 1 and 12 are empty. Row 1-3: Knit to the end of row. Next row: cast on 1 stitch and knit to the end of row. 12 stitches are now on the knitting loom. Next 36 rows: knit to the end of row. Next row: Move the stitch from the first peg to the second peg. Knit to the end of row (treat the peg with the two loops as one loop). Next row: Move the stitch from the first peg to the second peg. 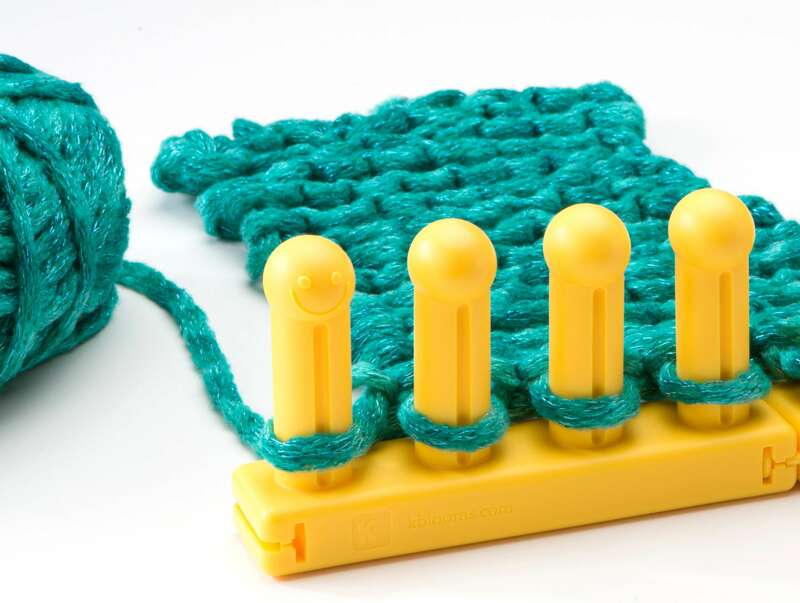 Knit to the end of row (treat the peg with the two loops as one loop). 10 sts on the loom. Next 3 rows: knit to the end of row. Bind off with basic bind off method. Leave approximately a 20 inch yarn tail for seaming. 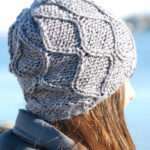 Place the knitted panel with the reverse stockinette side down, stockinette side up. Place the handle on the middle of the bind off edge (over the section that was knitted over 10 pegs). Fold the fabric over the handle. Using the yarn tail and tapestry needle, secure the handle in place. Repeat with the other handle bar, on the cast on edge. Using the remaining yarn tail from the handles, seam the side of the bag (start approximately 1/2 inch down from the handle seam). The reverse stockinette side is the “right side” of this bag. Optional: Lining the bag is optional. Suggest to line it before assembly.